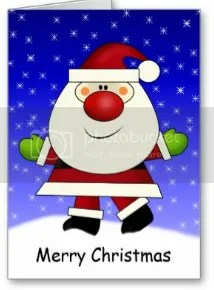 This card is a template so that you can actually change the “Merry Christmas” text on the front to any greeting or you can even writing it in your language or the language of a family member, friend, pen pal, etc. 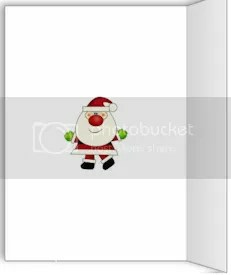 The Santa graphic is from Barry Meyer of “PSPTubez.com” and is used with permission. His website is down but I hope this is only temporary.